Quora is a platform for users to ask and answer questions about anything. All content uploaded by users is vetted for quality, relevance and structure. It is well funded and has raised over $160 million till date. Currently the website has no revenue. The aim of the startup currently is to build a strong database of questions and answers, which it monetize later on. Advertising is the potential model it will look at to monetize. Advertising – Based on the questions asked or on the content displayed. This form of contextual advertising appears to be the best potential model as it flows with the business model of the company and will not hamper the experience of the users. When? – When is the question a lot of people in the startup ecosystem are asking. Building a database and creating an asset is one thing. Monetizing the asset created is another. A sustainable business is one which can do both efficiently. 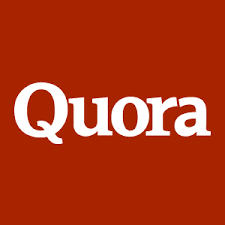 Quora has been in existence for over 6 years and created a strong position for itself in the Q&A space. The startup should start focusing on revenue generation to become sustainable and keep investors interested.